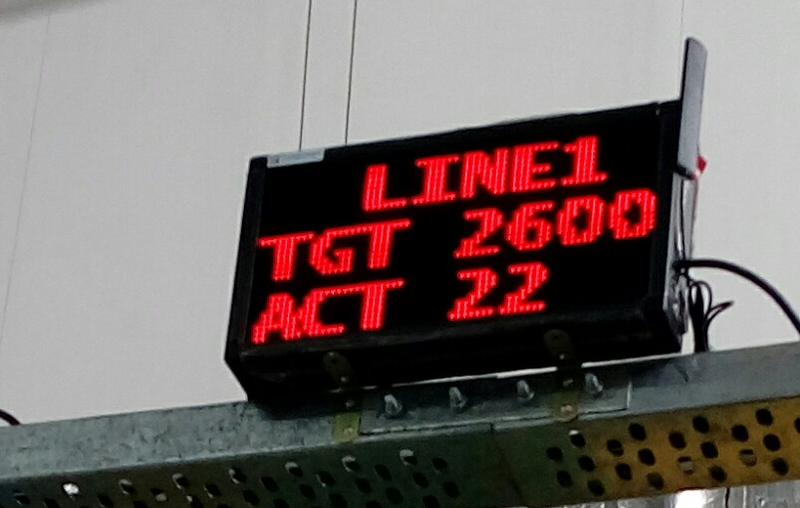 Keeping abreast with regulations,implementing them and keeping track of the implementation is one of the big challenge faced by the manufacturing industry. This is even more complex for an multinational company. 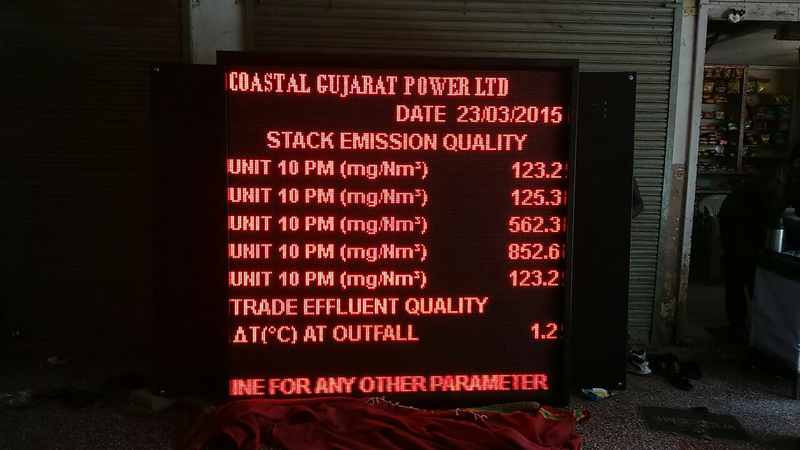 Compucare’s innovative solution to ease this challenge is with the help of Industrial Data Display. Note: Regulation and Traceability may vary from sector to sector.Compucare has the prowess to offer custom solution for the same. Product development and Innovation is a serious challenge faced by the manufacturing industry. The evolution of a product a cycle is fast paced and by the time the product is standardised for manufacturing, the product is soon replaced or upgraded with newer or upgraded version. 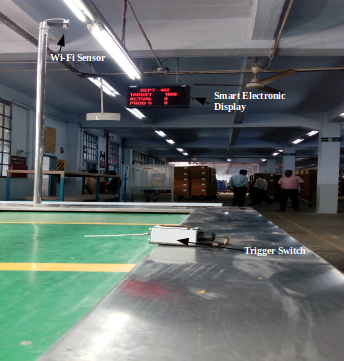 Compucare has provided innovative wireless Production Monitoring Solution to one such company to ease the challenge for its fast paced product development, manufacturing and evolution cycle. Yes, Compucare is also constantly looking out for Innovative ideas for product development. Hoping to find some after the end of this presentation. The engineers in today’s manufacturing industry still practice the tried and tested manufacturing method. This is another challenge faced by many. Younger generations are faster at adopting latest technology and embracing younger generation is essential to modernise the manufacturing industry. Compucare has ease this challenge for a classic company with its innovative Production Monitoring Solution. Compucare has also implemented this ideology and has modern, highly skilled work force, offering innovative solution. 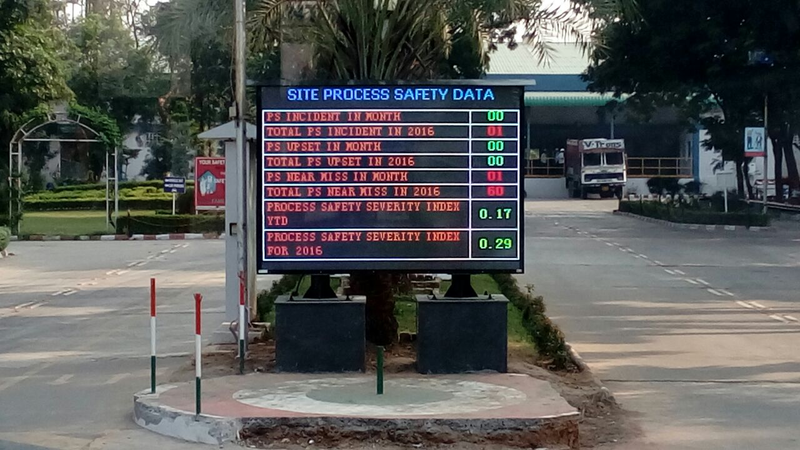 Health and Safety is given high priority and is also one of the top challenges faced in the manufacturing industry. Compucare has helped ease this challenge by providing Safety Statistics Board for Organizations who value the importance of Safe and Secure business practice. Note: Health and Safety regulation may vary from sector to sector. Compucare has the prowess to offer custom solution for the same. Environmental concerns are top priority to manufacturing industry and it is also a challenge to produce and manufacture with minimum environmental impact. 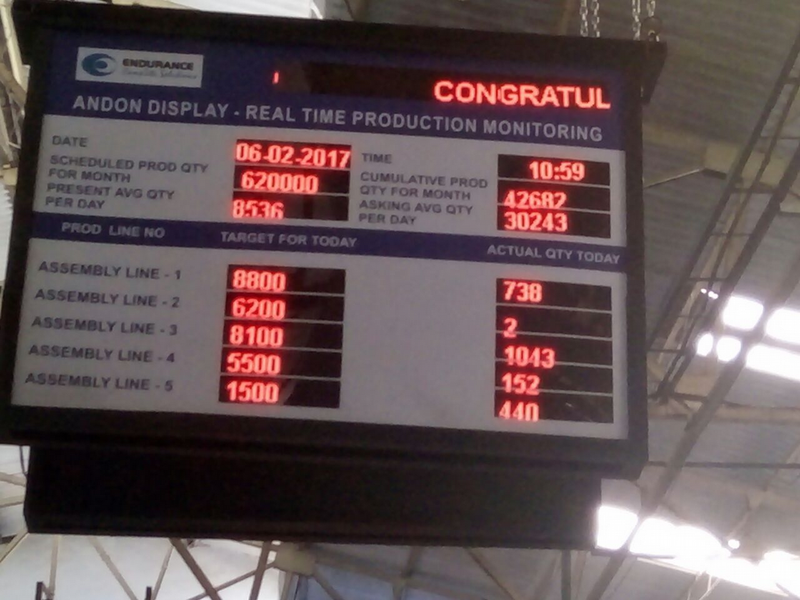 Compucare has helped ease this challenge to many companies by providing Industrial Data Display to transparently display the environment statistics data. Manufacturing industry also faces challenges to balance maintenance with throughput. Breakdown or running low on supply can severely hurt production throughput. 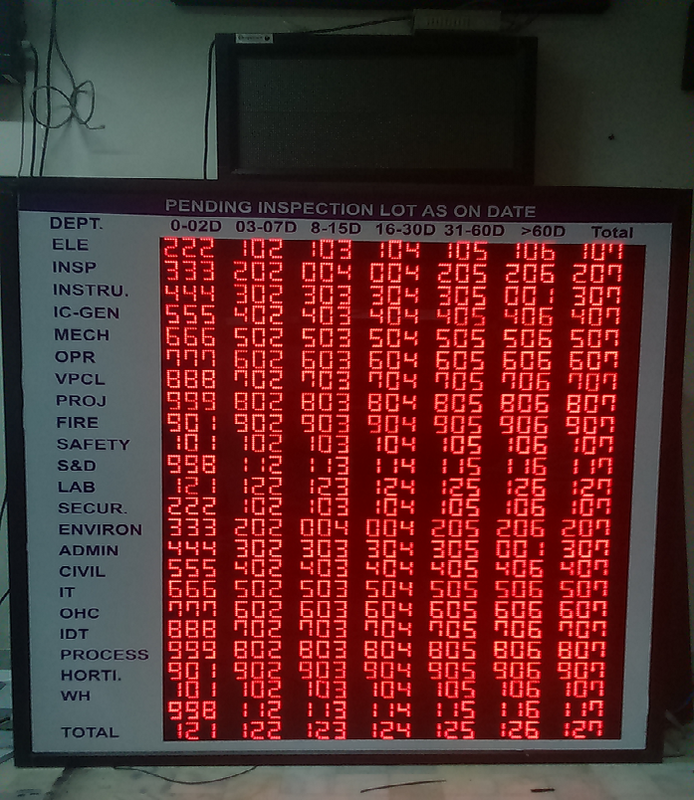 Compucare has provided innovative ANDON Solution to help ease this challenge faced by the manufacturing industry.